Found this guy creeping very slowly past the clothes line and towards the lemon tree yesterday. Went out to get a quick snap thinking he might try to bolt off but the lizard was very friendly and didn't mind too much that I was there, he posed for a couple of photos then kept on going in the same direction, which was towards me. 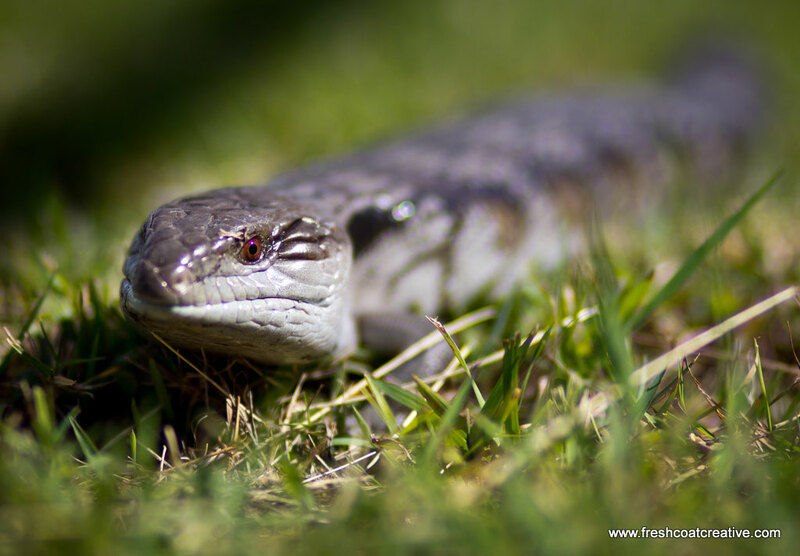 Apparently there are six type of Blue Toungue Lizards in Australia all non-aggressive and were popular in the 60's as pets. I think they'd be happier out and about in their urban environment such as this one. Canon EOS 60D, 100mm Prime, 100 ISO, f/2, 1/4000 sec.